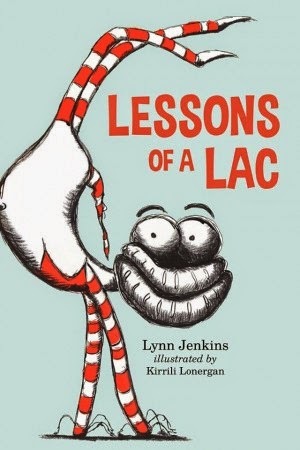 Kids' Book Review is delighted to welcome clinical psychologist and author Lynn Jenkins to discuss her new picture book, Lessons of a Lac (KBR review). Lynn has some wonderful advice to offer on the way we as parents can use picture books such as this to start conversations with our children about the things that worry them. When it comes to kids managing their anxiety, it is good to live by the adage, ‘it’s better out than in’! That is to say, it is good to encourage our little ones to talk about their worry thoughts and anxious chatter. One of my main aims in writing Lessons of a Lac was to open up conversations between parents and children, teachers and children, counsellors and children, and even between children and children! Talk, talk, talk! It’s only through talking about the things that are worrying us that we can get the guidance that can help. This is even more so for kids, as they are learning how to operate in this world as they grow. Learning what to do with their worries and anxious chatter and feelings is a very good thing and this point leads me to another main reason for writing Lessons of a Lac: early intervention. To me, it makes a lot of sense to skill kids up early in life, as when it comes to anxiety, it is a case of developing an approach and a skill set to manage it throughout life, as opposed to ‘fixing’ it never to be experienced again! Anxiety is just one of those things. Reading stories to our kids about anxiety and other ‘emotional’ topics and then showing them we are happy and relaxed when we talk about them, teaches kids that feelings are OK to have, struggling with them sometimes is ‘normal’, and talking about them can actually help! Are you more of a Loppy or a Curly? What does your Loppy say to you? What would you like your Curly to say to your Loppy when it’s being a chatterbox? And to talk in ways that ‘normalises’ anxious feelings such as: I am a Loppy but I’ve learned to listen to my Curly. When my Loppy talks to me, I can feel a bit sick in the tummy and like I want to cry. Loppy talks to me more when I have to do something new. And to say things that can help them to shift focus like: It helps me to remember I have Curly with me always. Curly says things like, ‘Just breathe’ and ‘I might try’ and ‘this feeling will pass’ - what could Curly say to help you right now? How might Curly see this situation in a different way to Loppy? Talking with our kids in this way has all-round benefits! 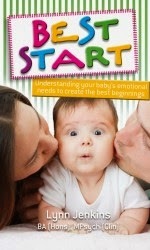 A particularly big one for kids is that it makes ‘emotional matters’ acceptable to discuss. If children grow up thinking that it is OK to have feelings, and even to talk about them with someone safe, there is a better chance their life struggles will be managed more efficiently. Perhaps they will be more likely to engage with adults when they are going through something in which they could do with a bit of adult guidance. And a benefit for both kids and for us parents is if we are the ones they choose to seek guidance from. If over the long term we can show our kids that we handle their emotional ups and downs with genuine interest and empathy – we are prepared to talk to them and try to help - we will develop a good track record. They will learn through experience that we are emotionally ‘safe’. And this is a VERY good thing! It means we have taught them that they can trust us to genuinely help them when they are at their most vulnerable. As they grow into adolescents and adults and have to ‘deal’ with quite tricky life situations, having a relationship with their parents they view as a ‘safe harbour’ is ideal for them. As parents, if our kids see us in this way, we can feel like we’ve done a good job! So please enjoy reading Lessons of a Lac. Enjoy the fact that you are intervening early in your little one’s life and giving them life-long skills they can use that will be well rehearsed by the time the real ‘big’ life situations come along. And enjoy the deeper connection that tends to come with talking to your kids about the things that make them worry. Try to stay calm and remember to listen to your own Curly to keep you on track! Lynn Jenkins is a Newcastle-based clinical psychologist. 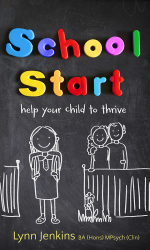 You can find out more about Lynn, Lessons of a Lac and Lynn's previous books for parents Best Start and School Start at the Room to Connect website.